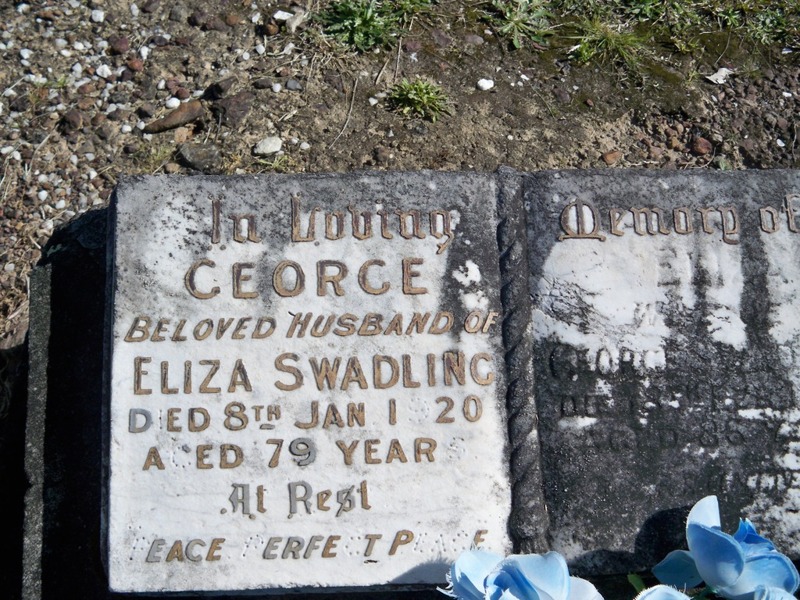 George SWADLING was born December 1841 in Sydney NSW to William and Elizabeth (WATSON). 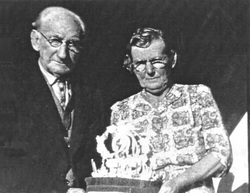 They had 9 children, all of whom were born at Wamberal. Two of his sons were George Ernest (1865-1950) and William Samuel (1870-1943). George Ernest SWADDLING was the first pioneer of Long Jetty. He was granted a homestead selection of 160 acres in an area then described as The Entrance via Wyong. In 1902 he married Sarah GLEESON. George also cut logs, mainly blackbutt and mahogany and hauled them to a shipyard at Terrigal. He cut and drew the first sleepers for the construction of the Hawkesbury River bridge. Swaddling Reserve at Toowoon bay bears his name. George sold most of his property at the entrance in 1932 – in the resulting subdivision Swaddling Street was named in his honour. William Samuel SWADLING applied for a land grant of 160 acres at Long Jetty on 16 March 1899 and confirmed on 10 July 1899. An inquiry was later held on 24 November 1904 to establish all conditions had been fulfilled concerning the selection. On 4 March 1910 William applied for permission to give half of his 160 acres to his brother George Ernest (Ernie) SWADLING. The land grant was approved and transferred to William’s son, Roy SWADLING who became a well known local identity. Roy was a life member of The Entrance Rugby League Club and Toowoon Bay Surf Lifesaving Club - he died in 1971. 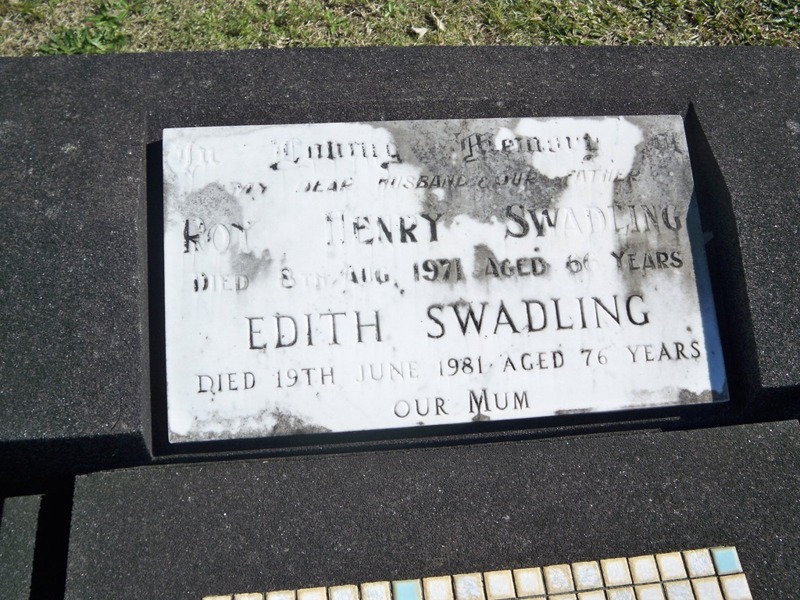 Many of the Swadling family are buried at Wamberal Cemetery near Terrigal NSW.